In a futuristic England where the Nazis won the Second World War, Jessika Keller is a model citizen. Her family is perfect, her father is a high-ranking official. But her conformity feels like an itchy suit, and the more rules she breaks, the more she sees what’s really below the surface of the “perfect” society she lives in. Julie Mayhew’s The Big Lie is a bold, breathtaking novel. Jess learns that her neighbor, Clementine, is part of an anti-regime group that’s been smuggling state secrets to other countries. The novel stays tight and creepy in scenes where the friends are alone and able to talk honestly. Switching from English to German, or using a mishmash of the two, they describe a place that lines its white picket fences with barbed wire. Mayhew moves the plot along quickly, keeping characters in danger. 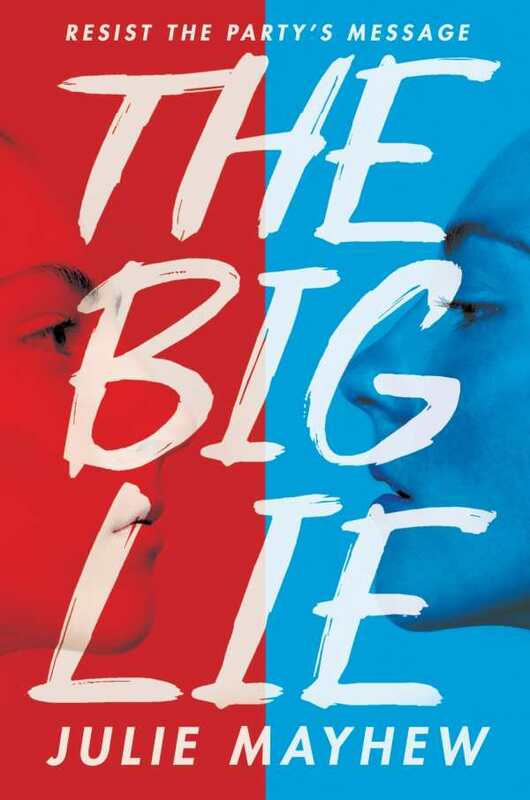 With elements of 1984 and The Handmaid’s Tale, The Big Lie is sickening and thrilling at the same time. Censorship, sexuality, loyalty, and revolution are all extremely timely subjects. Mayhew’s grasp of German culture and the potential outcome of losing to Nazi forces gives The Big Lie a refreshing urgency.